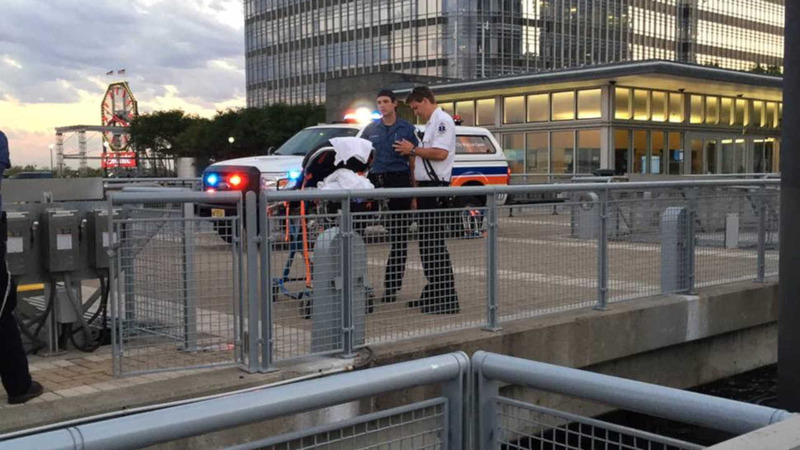 JERSEY CITY, New Jersey (WABC) -- Seventeen people were injured when a New York Waterway Ferry from World Financial Center to Paulus Hook in Jersey City made a hard landing Saturday evening around 7:15 p.m.
Waterway crews reported bumps and bruises when the ferry made a hard landing at the pier at 30 Hudson Street. There were 57 people on board the ferry. Three of the injured were removed on stretchers. Jersey City Spokesperson Jennifer Morrill says that most of the injuries appeared minor. Five of the 17 passengers were transported to Christ Hospital and the other 12 went to the Jersey City Medical Center-Barnabas Health.